Monday: 8:30 a.m. - 6:00 p.m.
Tuesday: 8:30 a.m. - 6:00 p.m.
Wednesday: 8:30 a.m. - 6:00 p.m.
Thursday: 8:30 a.m. - 6:00 p.m.
Friday: 8:30 a.m. - 6:00 p.m.
As spring draws to a close, summer vacation looms even closer. 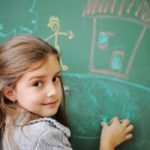 This is inevitably a joyous time for children, who can easily foresee lazy days of no school and plenty of free time to do the things they have wanted to do throughout the school year. At the same time, this can increase the stress levels involved in parenting exponentially. 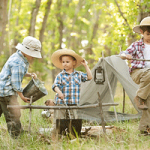 Parents must factor in daycare, family vacations, and other ways to keep their kids occupied during summer vacation that they may not have had to worry about during the school year. This stress can be increased even more after a divorce when parents also have to factor in custody arrangements and time-sharing plans for their kids. 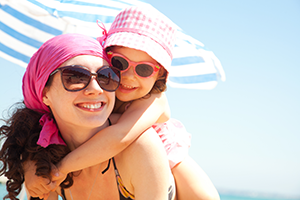 Many divorce decrees address custody and time sharing of children during summer vacation. Ideally, dates and times spent with each parent during the summer months will be addressed in a divorce decree in great detail. However, even when careful planning allows parents to lay out a custody arrangement during the summer vacation months in detail, it is possible that confusion and disappointment on the parents’ behalf may still abound. In such circumstances, keep the following helpful tips in mind to help you navigate the challenges that divorced parents face when summer vacation rolls around. They may help you reduce the stress that summer vacation can cause for you, which inevitably allows your children to enjoy summer even more. 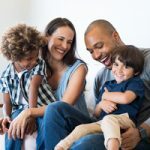 These tips can be especially helpful if you are in the process of coming to an agreement with a co-parent about custody and time-sharing during the summer months. A family law attorney can help draft these types of agreements with these tips in mind, and understanding the details that accompany summer schedules can help you, as a parent, address issues in a way that is in the best interest of your child. Amongst other things, a detailed divorce decree will set deadlines by which parents must outline their summer vacation plans, if any. If your decree sets forth these dates, you must make sure you abide by them. In other words, you must make sure that you discuss any potential summer vacation plans with the child’s other parent by the deadline set forth or you may lose your ability to realize the plans you have made. The most important part of this is communicating your plans with the child’s other parent, not just securing travel plans by the date set forth. Parenting during marriage involves communication, and this does not change when divorce enters the picture. Additionally, when making plans it is a good idea to involve the child’s other parent. Vacation plans that are made when both parents are in agreement and can mutually work out dates, times, and other obligations can be more easily presented to their children. Presenting plans for extended vacation periods together can help show that both parents are in agreement over potential plans, and that helps children realize that parents are working together even when they are divorced. Working together to coordinate plans also helps prevent last-minute disagreements over vacation schedules. Do not let past conflicts that may have arisen drive your summer vacation plans, or any negotiations related to them. Instead, use any past disagreements or conflicts as lessons on what to avoid and how to avoid it. This tip holds true in any scheduling conflicts you may encounter in your custody arrangement after divorce. When it comes to planning, try to avoid planning events that conflict with important dates in the other parent’s life. You can catch many more flies with honey than with vinegar, so if your former spouse’s birthday falls during the summer you should make very valid attempts not to make vacation plans that conflict with that date regardless of what your particular rights or scheduled visitation might be. While travel in the United States really only requires communication, depending on your individual divorce decree, international travel generally requires more. In fact, it can often require signed and notarized permission from your child’s other parent. You must ensure that you abide by these rules and regulations to avoid potential legal consequences. Your family law attorney can help you understand the requirements for international travel, but you must make sure that you abide by those requirements. Even if you have traditionally taken international trips to visit family and friends in other countries as a married couple, international travel after divorce often requires a higher degree of scrutiny that dictates you obtain your former spouse’s approval. Regardless of how amicable your divorce has been, you should remember that you are still divorced. There is still a parent that is likely not in the picture that needs to be informed of what you are doing. Even when you were married, you wanted to know that your children were safe and secure. That does not change once a divorce is final. To ease the potential tensions, make sure that you provide updated contact information for yourself and your children during any extended vacation, especially if it involves international travel. Be conscious of your former spouse’s valid concerns over your shared child or children’s safety. Make sure that all of your vacation plans are appropriately documented. Ensure that your former spouse is aware of where you are taking the children and when. Avoid conflicts that may arise before they happen. Divorce is not easy, and it requires a great deal of planning when it comes to your summer vacation plans with shared children. You must be realistic in your planning and your expectations, and you must be prepared to adapt any set visitation schedules that may be in place in order to ensure that the best interests of your child or children are met. 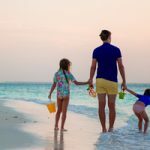 The first step in ensuring a smooth summer vacation visitation schedule is to make sure that your divorce decree adequately expresses your wishes and plans for the child or children involved. If you are facing divorce, make sure that you contact an experienced family law attorney to enable you to enter into a custody agreement appropriate to your circumstances. Contact Scott J. Stadler to schedule a divorce or custody consultation that works for you. An experienced family law attorney can make sure that your particular circumstances are taken into consideration when planning a custody arrangement that works for both parents. Like our blog? Subscribe to our Weekly Newsletter for updates of all recent posts so you dont miss a thing. How Long Does a Divorce Take in Florida? Call today to find your solution! The cost of your case will depend on the amount of cooperation there is between you and your spouse. The fewer issues the quicker and less expensive the case will be. Long cases are usually resolved within a year and take a lot of attorney time. These cases have low level cooperation and high degree of conflict. Please call me to discuss the details of your case. © Copyright 2014 Scott Stadler PA. All Rights Reserved.